London’s new Befriending Kitchen isn’t your average pop-up eatery. Run by the British Red Cross, this unconventional dining setup was designed for a weekly shared meal for refugees and asylum seekers. 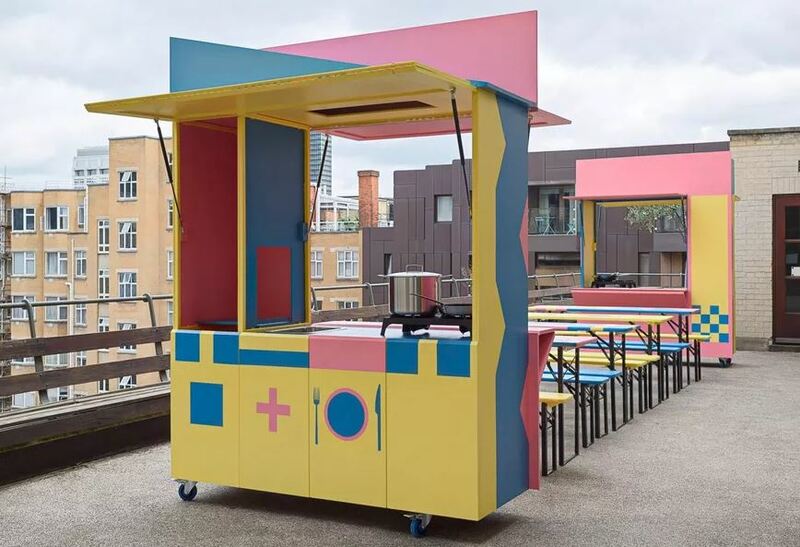 Designed by Merrett Houmøller Architects, the new mobile venue offers a set of colorful, expandable food carts and tables. Comes with a handy Head Chopping Board! I guess Blow Up Kitchens are next.